A couple of GCs at Brewdog lunchtime today. Not exactly fantastic but I'll take them. Do you get any work done at Tilt ? i finally reached Mansion Mania tonight! well chuffed. i dont think i'll ever have a better game than the one last night. Just shy of 3 billion on Dirty Harry today. The thing is I've had it months now and this is my best score by far, I'd never had the Shootout before this game and I'm still not the Crimewave champ!!! It has taken me nearly a year to get my score , I take my cap of to you and surrender to your awesomeness ! Almost a month in, thought it's about time I put some scores in. Such an amazing game. I've had most of the requirements to get to Run to the Hills - just not in the same game. Although I am yet to hit a single super skill shot ? Yipee. 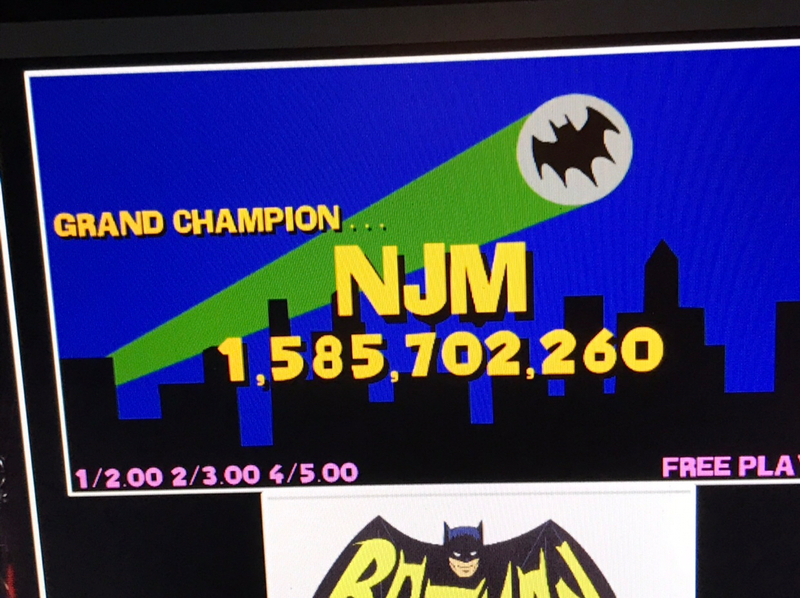 Just beat my high score on mm . But failed miserably at battle of the kingdoms. Nevermind. Took 45 min to get that score. Hard work. Just had an absolute monster of a game on IMdn . 4.4Billion, including a Cyber Eddie score of 831mil, 13 sweeps of the drops and 2242 spinner spins! I had a qualifying score for the shard on Icarus, but drained as I was trying to collect it. Had 3 of the 4 Eddie cards at Lv2. Can't quite manage getting the Lv2 card during 2 Minutes to Madness, but had I collected the Icarus shard, I'd only have needed 1 more tomb treasure (6 way combo or defeat the Beast) to reach the 9th tomb treasure, a random lv2 Eddie card which would have competed the set, lit the final tomb treasure and got to Run to the Hills. I had at least 3 5-way combos this game, and battled the Beast twice but only got him down to health of 12 and 4. Guess I'll just have to keep going. Just fitted an NVRam to LOTR and RCT ... so it seemed a good idea to put a score back on the chart. Well B*€€er me id I didn’t DTR and TABA in the one game ? 158,000,000 isn’t much in the scheme of things I know, but enough to impress casual visitors ? Valinor seems a long way off. Most elf rings = 3 so far, and I’ve no idea what the mystery 7th even is! Epic game though - loving it and loving modding it. That's nothing. I nearly scored 400 Million once, missed the loop jackpot entirely and accidentally collected a tomb treasure whilst pretty much completing absolutely no modes whatsoever. I did sweep the drops once though - nice callout for that! The game is bloody hard and I genuinely have no idea how you get to 4+ billion! Well done! Over 130 ghosts too. Boy it needs it’s code finished though. No ‘we’re ready to believe you’ Awesome time though! Buying a LOTR just before my first child was born probably not my best idea due to long ball times but I am loving it when I do get a change to play a few games. Here’s my best so far. 6 GOTE, completed FOTR and TT multi balls, played TABA and destroyed the ring once but miles away from completing ROTK multiball. Amazing pin!